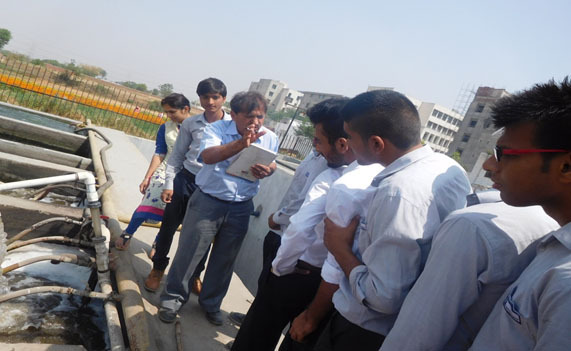 The Department of Civil Engineering has conducted a visit at EMAAR site in sector 102, Gurugram, Haryana on 5th February 2019. In total 40 students of B.Tech and M.Tech program in Civil Engineering has visited the site. 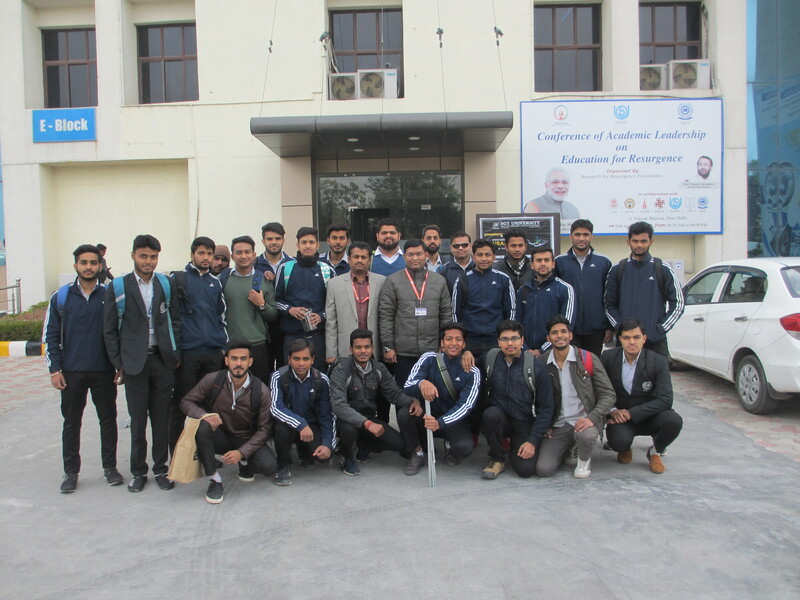 The purpose of this visit is to help students to understand in field construction, demonstrate the theory concepts with in field construction techniques, Reinforced Cement Concrete, Foundation Engineering, Road construction and materials testing subject in field demonstration. Read more. 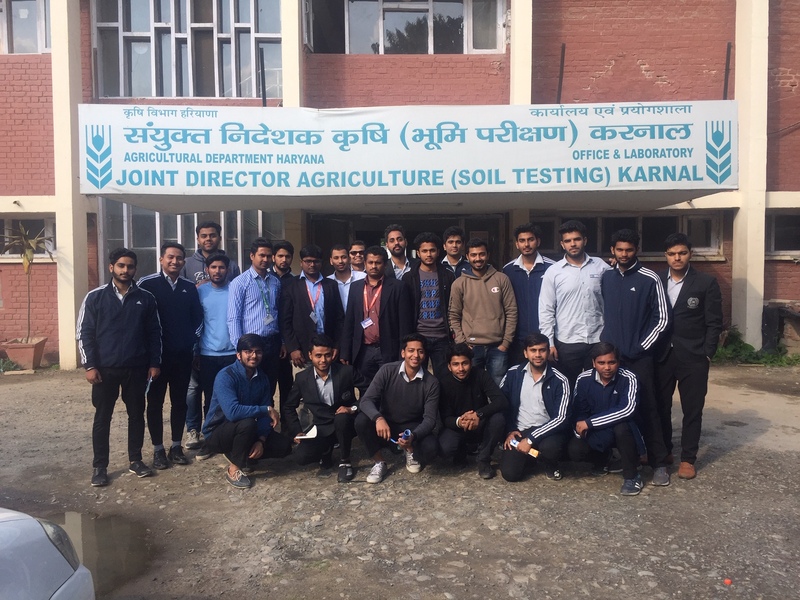 The Department of Civil Engineering has conducted a visit at HOPP site (Haryana Operational Pilot Project) in Kahni Village and Lakhan Majra Workshop, dated on 30 January 2019. In total 40 students, including B.Tech. And M.Tech. Level (Civil Engineering) has visited the HOPP site. The purpose of this visit is to help students in better understanding of the soil related parameters studied under saline soil reclamation. 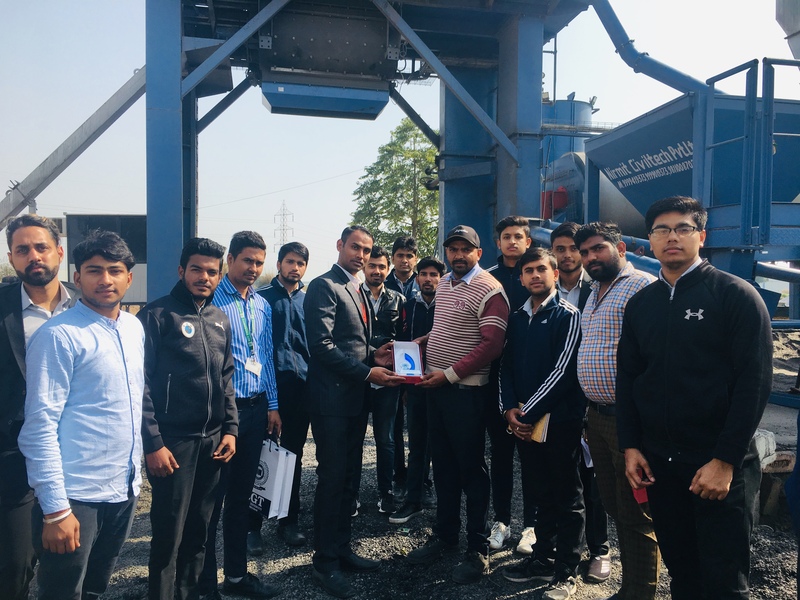 In addition to that workshop, visit enhanced the understanding of students toward machinery used for reclamation of soil… Read more. 2nd and 3rd semester students on 6 February 2017. Department of Civil Engineering organised an educational visit to Water treatment plant at Basai Village on 06 February 2017. The objective of the visit was to enhance the knowledge of Engineering Chemistry, Water treatment, Water quality testing among the students and help them understand the process of converting raw water into drinking water. It was an enlivening experience in which the students got a chance to get themselves familiar to the practical knowledge of the different stages of water purification. The visit was an informative experience satisfying the curiosity of engineering students and also helped in creating an environmental awareness among them. 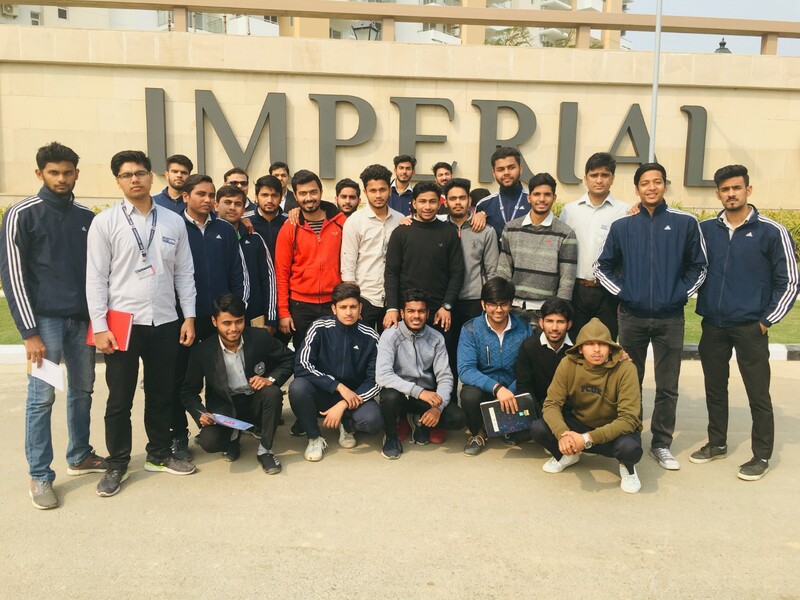 Organized an industrial visit of 2nd& 3rd students to Suncity Township site Rohtak with the objective of showing different stages of construction in a variety of projects to the students. The students were provided with explanations regarding the laying of foundation of the building in relation to the drawings and the various stages of construction. Also, students were given detailed explanations about reinforcement of column, form work and other ongoing tasks. 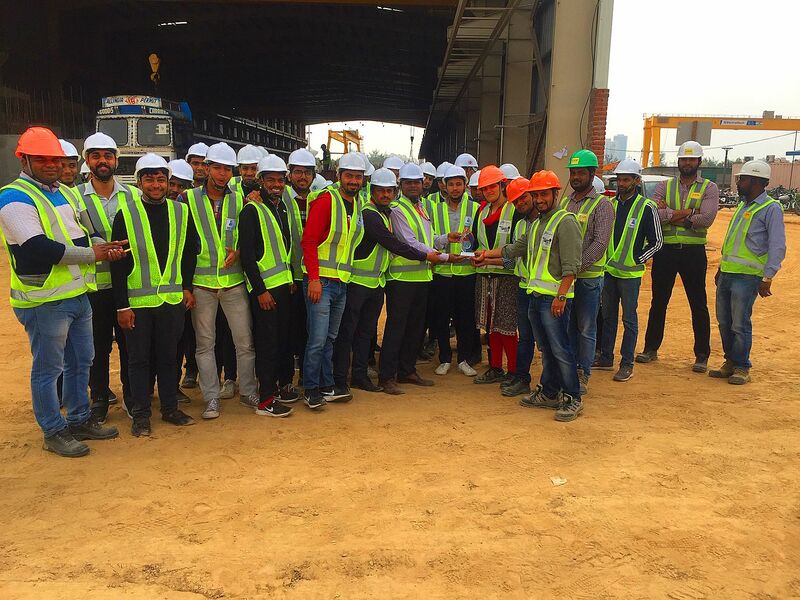 Industrial Visit of IInd & IIIrd students to Construction site M3M Pvt. Ltd. 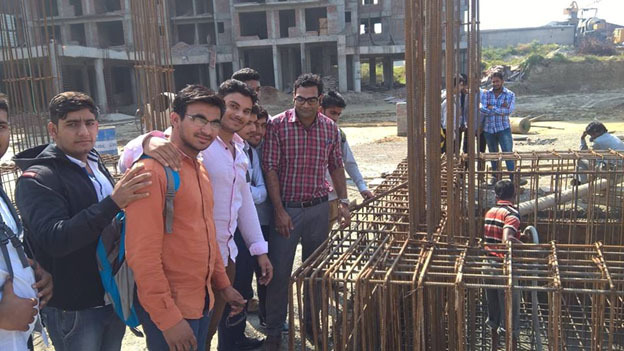 Organized an industrial visit of IInd & IIIrd students to Construction site M3M Pvt. 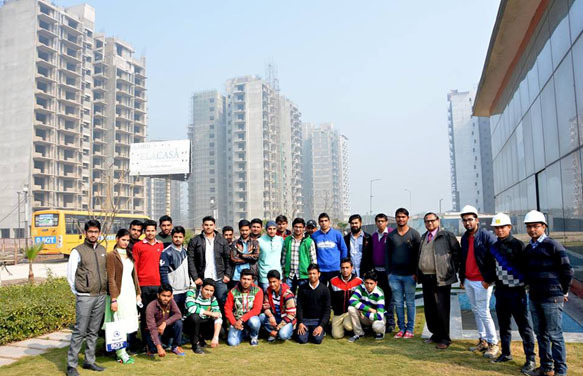 Ltd. Gurgaon with the objective of showing different stages of construction in a variety of projects to the students. The students were provided with explanations regarding the laying of foundation of the building in relation to the drawings and the various stages of construction. Organized an Industrial Visit to Sewage treatment plant to visualize the primary, secondary and tertiary treatment processes. Industrial visit focuses on preparing the participants to learn about the day-to-day workings of a particular industry and understand its operational issues. The program also helps keep students abreast with the current management practices followed by such organizations and acquire traits that the industry demands of them. Industrial visit at “INDIA EXPO CENTRE” Noida. Organized National Design Competition in association with CADD Center for students of civil engineering to display their talent in digital design skills. The competition has successfully conducted to perform 2D drafting. 10 days survey camp was organized for Civil Engineering 3rd year students. 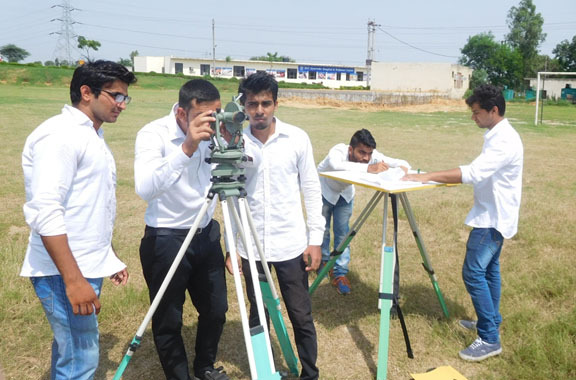 At Survey Camp, students obtained extensive hands-on experience in the use of land surveying instruments and in the essentials of survey practice. Measurements of distances and angles, survey calculations, sources of error, and corrections and adjustments were introduced. Concepts of higher order survey techniques and global positioning systems were reviewed and illustrated. 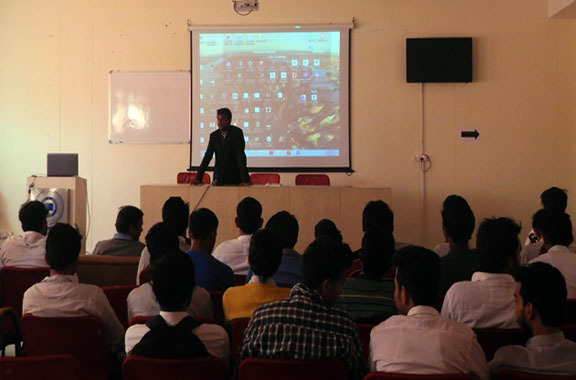 Department of Civil Engineering organized Interactive session on STAAD Pro by TIET, New Delhi in which students have gained understanding of structural modelling . Students are introduced to the concepts of structure modelling, analysis, design and documentation. Trainer introduced the course in a very friendly way saying that STAAD Pro is comprehensive structural engineering software that addresses all aspects of structural engineering including model development, verification, analysis, design and review of results. 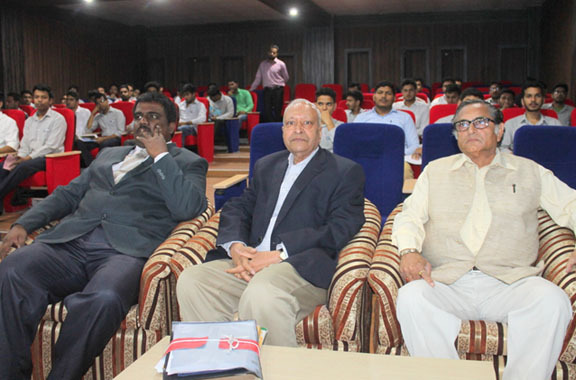 Invited Guest Expert Dr. D P Gupta, Former Director General (Road Development) & Additional Secretary Govt. of India, on March 03, 2016 in order to discuss “Recent Advances in Roads and Road Transport Sector”. 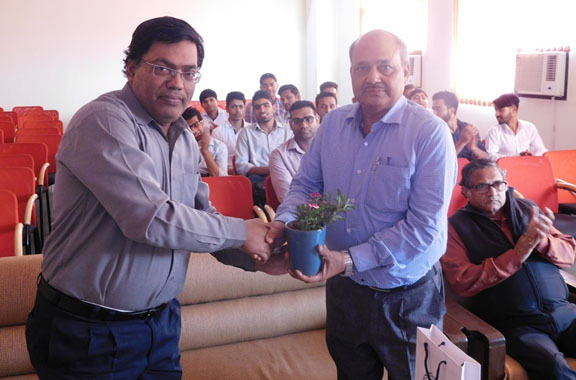 Invited guest speaker Dr. Parmod Kumar Jain, Retired Chief Scientist-CRRI, on March 08, 2016 in order to discuss “New Materials for Road Construction”. Organized an education trip to Roorkee & Haridwar in which different hydraulic structures shown & explained to the students were aqueduct, level crossing, syphone, earthen & concrete canals fluming of canal etc. Department has organized an 3 days Educational Trip of 3rdand 4th year students to Banbasha & Nainital. 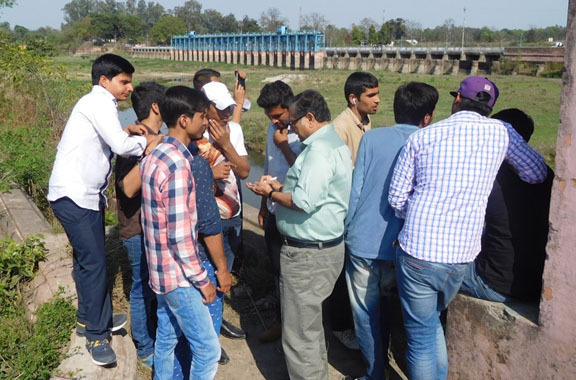 The students were taken to Sarada Barrage & made familiar with different components of barrage like under sluice portion, weir portion, head regulator, operation of gate, guide bunds, spurs, silt extractor, fish ladder and offtakes canal. The students were also taken to Nainalake near Naina Devi temple & were asked to sketch of contour of Nainital Valley on at down loaded map of Nainital from Google Earth. The whole trip was very educative & improved the physical understanding & visualization of the students in regard with Surveying practice and functioning of the head work & canal system.